Groups – Areas for specific village organisations to host and post their own information – clubs, societies and businesses etc. Each organisation has their own area with nominated people who can post information on behalf of the group. General News – is made up by contributions from the public on any matter relating to North Luffenham and the surrounding area which are believed to be of interest to the village residents. Contributions are sent to a small group of website editors to be considered and publish on the website. 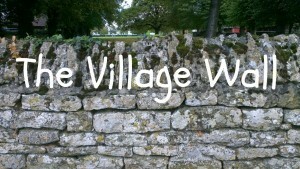 The Village Wall – this is an area for general “chat” topics, everyone can post a comment here registering with their email address or social media account. You can either start a new topic by posting a comment or reply to a previous comment, All the comments are listed in time order, there is no breakdown into separate areas. Local Ads – Items for Sale, Wanted or available for free. The Corner Shop – This is a directory of local traders. If you want to publish information yourself for the group, you can contact the lead person for permission via the group contact form, and, after agreeing to the user guide and conditions, you will receive a user name and password for the site to enable you to publish information in the Group area yourself. If you have some information on an upcoming event or topic that you would like to be included in the general news section of the website then send it to editors@northluffenham.com and it will be passed to the relevant website editors for consideration and then published on the website. Most posts on this website include a comments section at the bottom of each post. You can either respond to a comment already published by clicking on the reply link or add a new comment in the box at the bottom of the page. You can keep track of the conversation on a particular post via email, by ticking the “Notify me of new comments via email” option at the same time you submit a comment. If you add a comment to a post it is understood that you have read and agreed to comply with the contributor acceptable use policy. If you believe a comment is inappropriate, abusive or does not comply with the contributor acceptable use policy, please notify the website editors. To post a comment go to The Village Wall, and at the top of the page there is a drop down link with instructions on how to comment. No User Name or Password is required to post on the Village Wall, however you will need to enter either your name & email address, or use a social media account login such as twitter, Google or facebook. Your first post will need to be approved by a moderator (this is to prevent spam from being posted). You can either create a new comment or reply to a previous one already published on the wall. If you have something you would like to give away or sell, or are searching for something to purchase, please complete the form at the bottom of the Local Ads page. If you run a local business please complete the form at the bottom of The Corner Shop page.